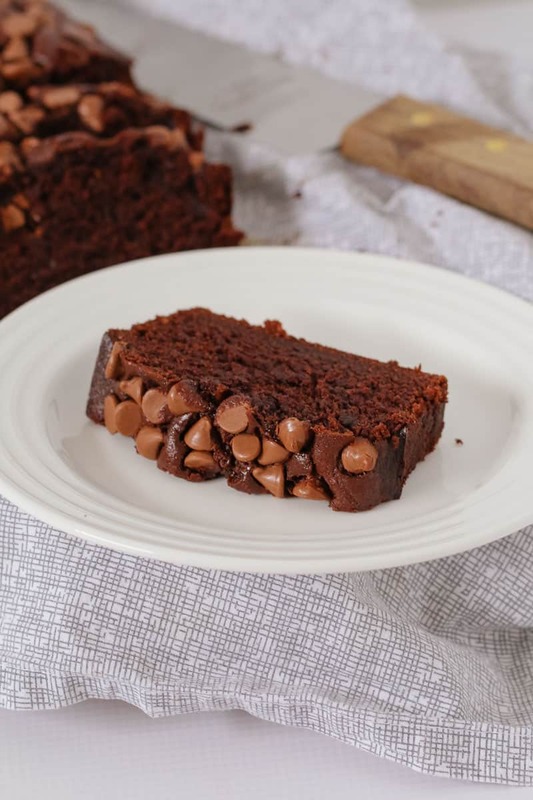 Our famous Double Chocolate Banana Fudge Loaf recipe is now even better! 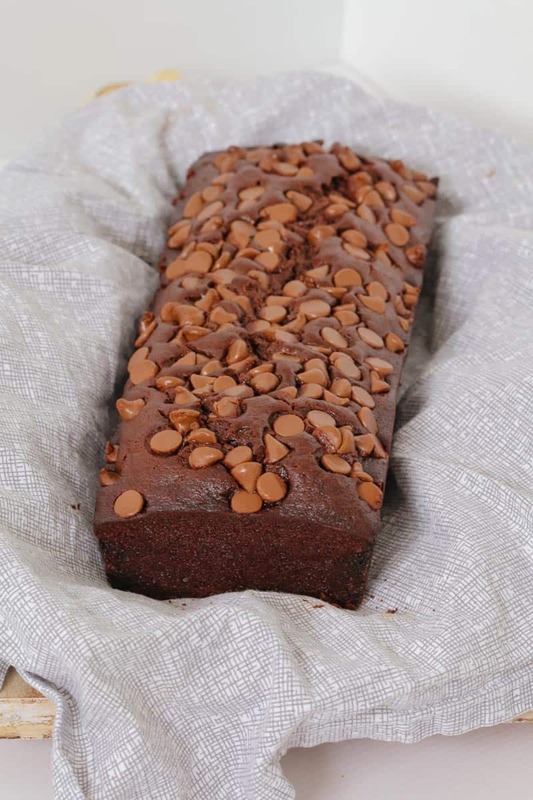 Perfect for using up ripe bananas, great for lunch boxes and freezer-friendly! Hi there! 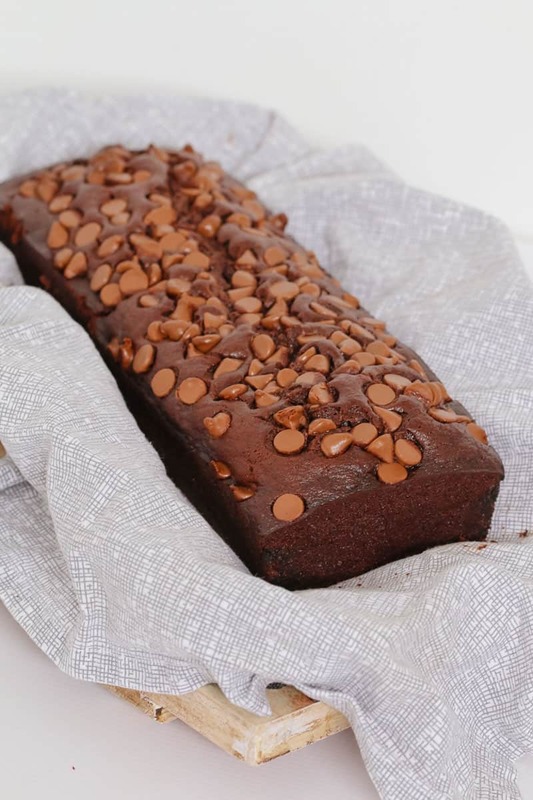 Boy am I glad that you’re here because you’re absolutely going to LOVE this Double Chocolate Banana Fudge Loaf… like fall head over heels in love with it. 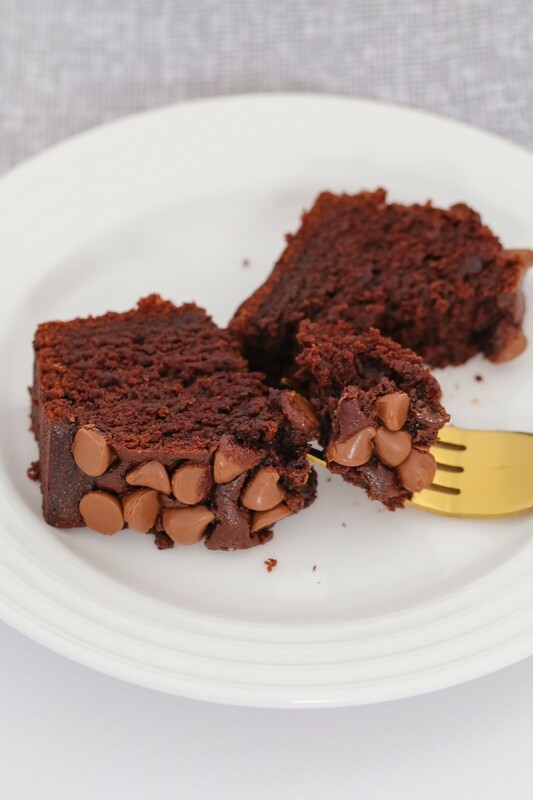 I first posted this recipe back in 2015 and since then it’s just gone crazy! Everyone who makes it, loves it. 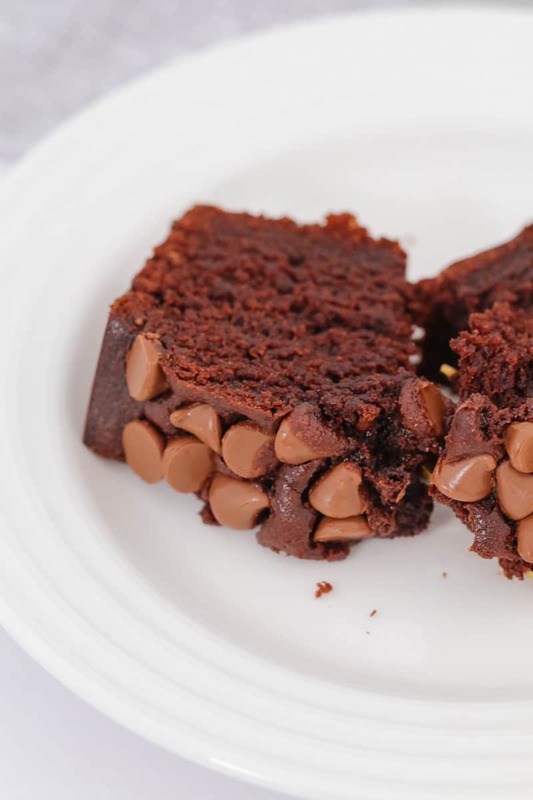 Everyone who has 1 slice ends up eating half the loaf in one sitting. It’s that good. Now if I’m being totally honest, lets talk about whether this is a healthy recipe or not. Ummm no. It’s not. Sorry (#notsorry). But it DOES have bananas in it… so it’s all about balance, right? 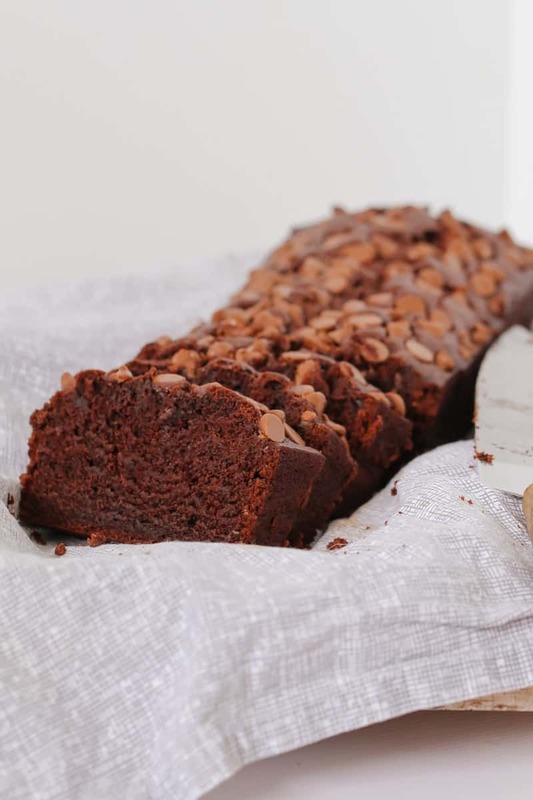 Our Double Chocolate Banana Fudge Loaf is perfect for using up those ripe bananas you have sitting in the fruit bowl (and the riper the better!). Plus this recipe is freezer-friendly, so make it, pop it in the freezer and have easy snacks ready to go! PS. 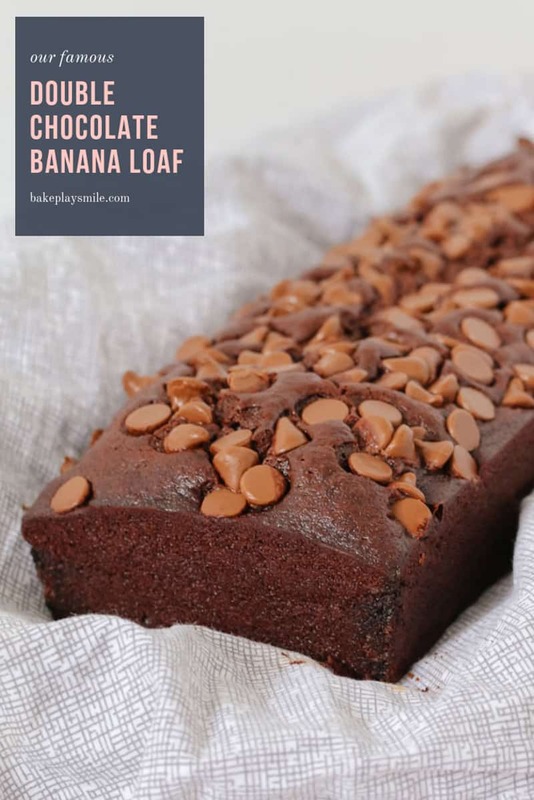 Speaking of ripe bananas – click here for more yummy banana recipes!! 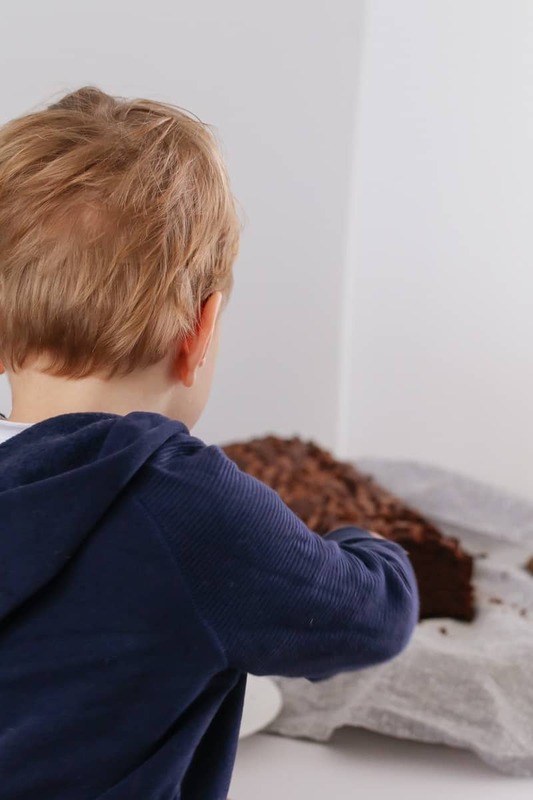 Oh and this recipe is most definitely kid/toddler approved. In fact, it’s almost impossible to keep their little hands off it!! 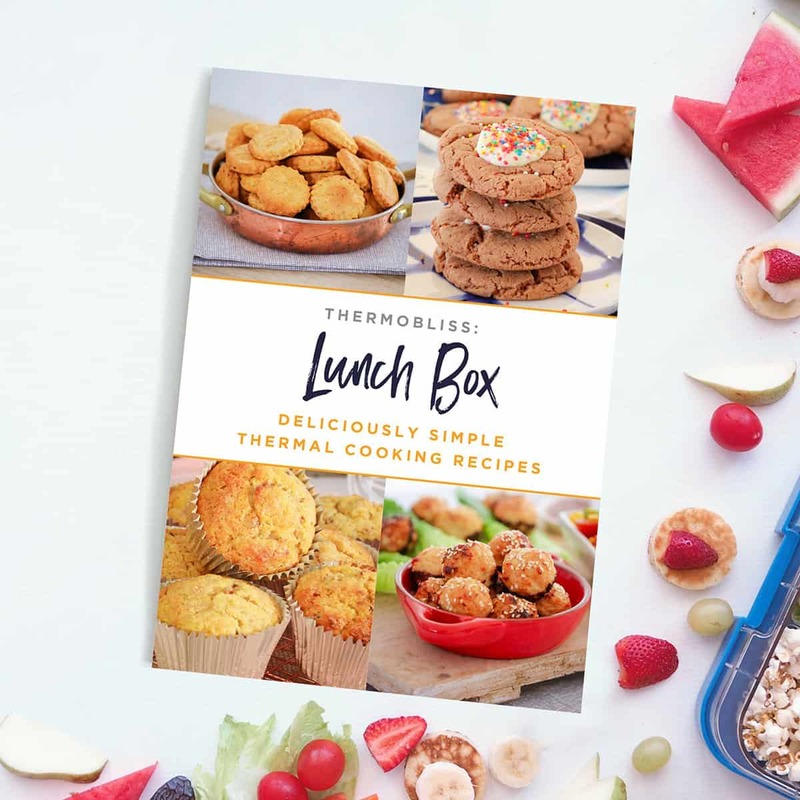 For more yummy snack recipes, check out out Thermomix Lunch Box Snacks Cookbook filled with HEAPS of sweet & savoury recipes for kids! Just $16.95 (includes 3 FREE bonus eBooks!). Preheat oven to 175 degrees celsius (160 if using fan-forced). Grease a rectangular loaf tin (approx 23cm X 13cm) with butter and set aside. Add the brown sugar, melted butter, egg and vanilla. Whisk well. Sift the plain flour, cocoa, salt and bi-carb soda over the top. Stir until just combined. Add 1/2 cup dark chocolate melts and stir through. Pour mixture into the prepared loaf tin. 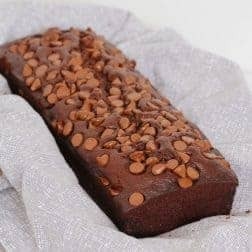 Sprinkle over the choc chips. 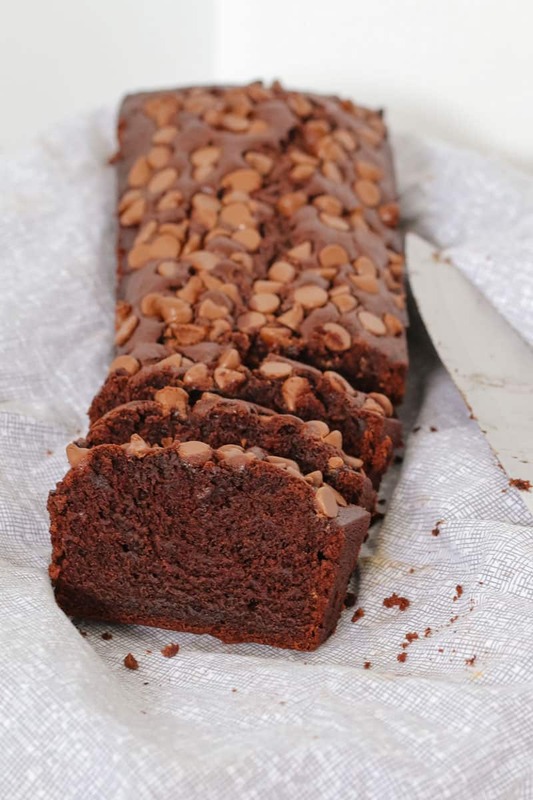 Cook for 55 minutes or until a skewer inserted into the middle comes out with just a few crumbs on it (don't overcook though - you want a moist, fudgy loaf). Allow to cool for 20 minutes and then place onto a wire rack to cool completely. 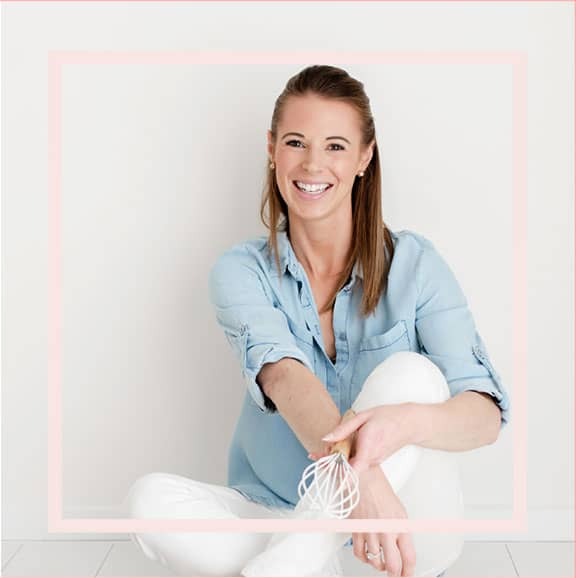 Store in an airtight container for up to 4 days at room temperature (or freeze in an airtight container for up to 2 months). 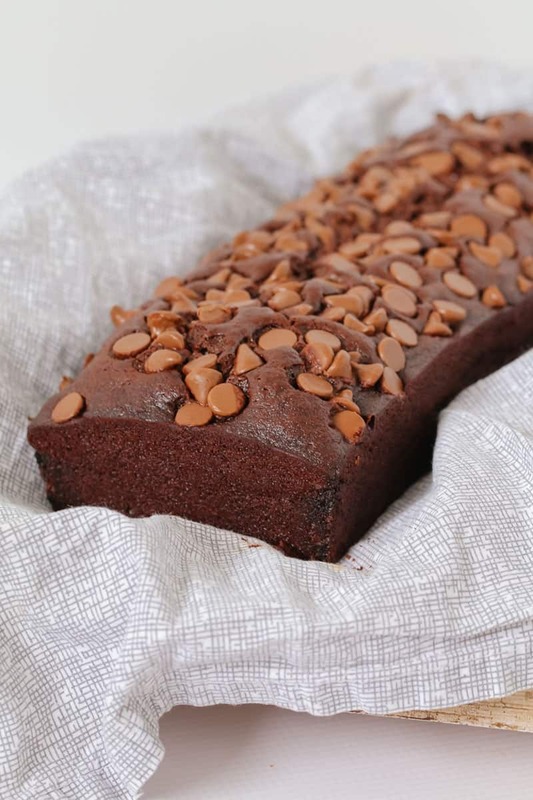 Place the plain flour, cocoa and bi-carb soda into the Thermomix bowl. Sift by pressing Turbo 5-6 times then set aside in a seperate bowl. Place the butter and bananas into the Thermomix bowl and mix on 100 degrees, Speed 2.5 for 2 minutes. Scrape down the sides of the bowl. Mix on Speed 5 for 10 seconds. Add the brown sugar, egg, salt and vanilla and whisk on Speed 6, 20 seconds. Add the flour mix and the chocolate melts and mix on Speed 5, 10 seconds. Scrape down the sides and mix for a further 5 seconds. Man, this looks so good! Chocolate and banana is just so much yum for my tum!